Our built-in MEMORY COACH uses scientifically proven methods to ensure that you'll learn and remember hundreds of words quickly and easily. Our team of content creators, including Stanford University graduates and PhDs, spent years developing rich, engaging content so that you won't just memorize words, you'll really understand them! - Image: A beautiful custom image for every word. 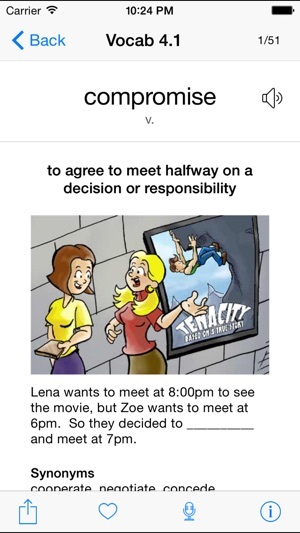 - Example sentence(s): Sentences are written with endearing characters that help you develop an emotional connection with the words you're learning. 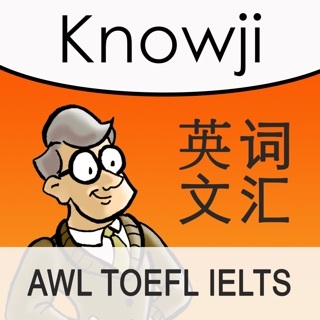 - Collocations: Use words you’ve learned with collocation information. - Spaced Repetition: A scientifically proven method for optimal memory retention. 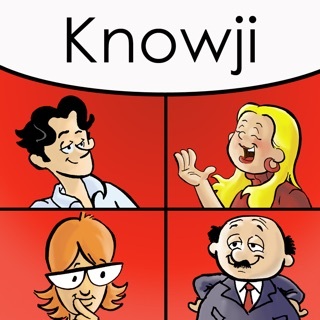 The app keeps track of how well you've learned a word, and presents challenging words more frequently than others. It even suggests a time when you should drill again before you forget the words. - 4 Learning Modes: Passive & active recall (including spelling), receptive & productive learning. - Quiz: Quiz yourself anytime using multiple modes. - Goal Setting: Specify how many new words you want to learn per day, or set a target completion date. 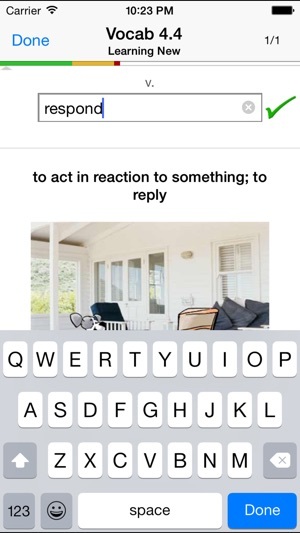 - Search: Look up words a word, definition, or example sentence. 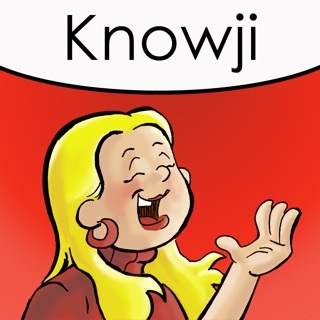 - Favorite a word so you can quickly reference the word later. - Do Not Learn: No more wasted time learning words you already know. 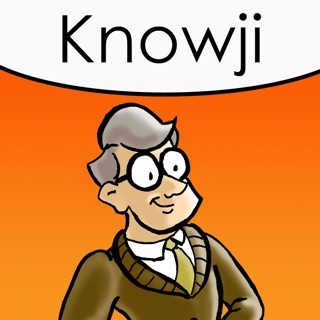 - Progress Tracker: See how many words you've learned and how well you know them. 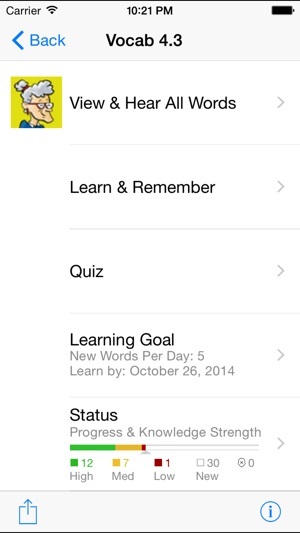 - Status Report: Parents and teachers can track a child's learning progress. 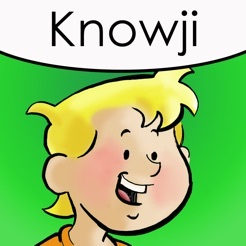 - Accent Reduction & Proper Pronunciation: Record your own voice and compare it with Knowji’s voice. Minor content refresh and update to latest iOS. 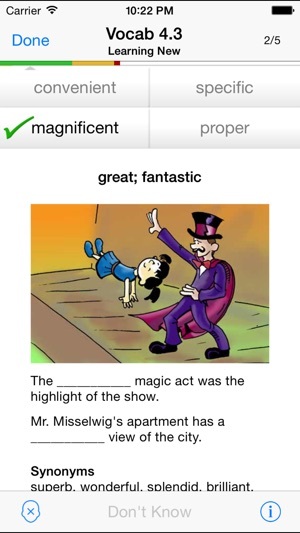 I am an elementary English as a second language teacher and this is the vocabulary app that I've been looking for. 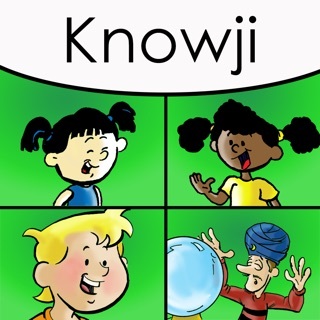 It features a great collection of high level, grade appropriate words along with audio, visuals, example sentences, word study, and 4 ways to practice the new words. It has the capacity to customize the pace and the targeted words. 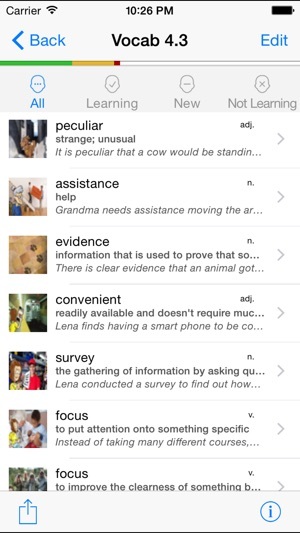 I like the system the app uses to help the learner master the new words. If you aren't convinced that this is worth the $2.99, get the lite version and check it out. 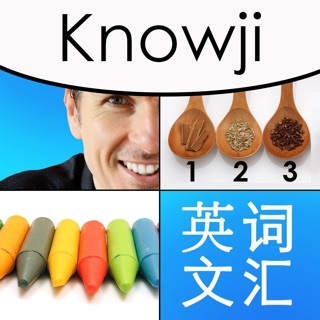 Upon discovering this app, I bought # 3, 4, and 5 because I want all my intermediate grade students to use this app to play with words and learn new words. 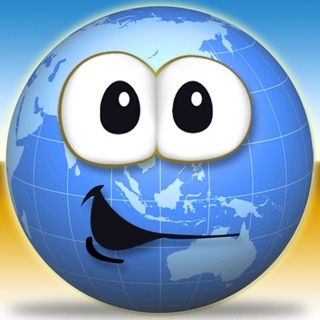 I'll be sharing this app with my colleagues! 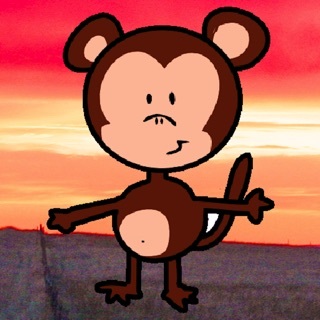 My daughter loves this app. She has been spending more time with this app than on Facebook.